TOKYO & INDIANAPOLIS--(BUSINESS WIRE)--Chugai Pharmaceutical Co., Ltd. (TOKYO: 4519, Chugai) and Eli Lilly and Company (NYSE: LLY, Lilly) today announced they have entered into a license agreement for OWL833, Chugai’s oral non-peptidic GLP-1 receptor agonist. OWL833 is a Phase 1-ready asset that is being studied for the treatment of type 2 diabetes. Under the terms of the agreement, Lilly will receive worldwide development and commercialization rights to OWL833. Chugai will receive an upfront payment of $50 million and is eligible for milestone payments based on achievement of certain predetermined milestones. 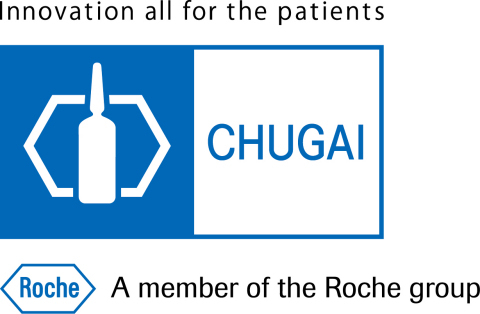 If the molecule is successfully commercialized, Chugai would also be eligible for royalty payments. There will be no change to Chugai's consolidated financials forecast for the fiscal year ending December 2018 as a result of this transaction. This transaction is subject to potential competition authority clearances and other customary closing conditions. Additional information is available on the internet at https://www.chugai-pharm.co.jp/english/. This press release contains forward-looking statements (as that term is defined in the Private Securities Litigation Reform Act of 1995) about the benefits of Lilly's licensing of Chugai’s investigational medicine, OWL833. It reflects Lilly's current beliefs; however, as with any such undertaking, there are substantial risks and uncertainties in implementing the transaction and in drug development. Among other things, there can be no guarantee that Lilly will realize the expected benefits of the transaction, that the molecule will be approved on the anticipated timeline or at all, or that the potential product will be commercially successful. For further discussion of these and other risks and uncertainties, see Lilly's most recent Form 10-K and Form 10-Q filings with the United States Securities and Exchange Commission. Except as required by law, Lilly undertakes no duty to update forward-looking statements to reflect events after the date of this release. Media Relations Group, Corporate Communications Dept., Chugai Pharmaceutical Co., Ltd.
Investor Relations Group, Corporate Communications Dept., Chugai Pharmaceutical Co., Ltd.
Chugai and Lilly today announced they have they have entered into a license agreement for OWL833, Chugai’s oral non-peptidic GLP-1 receptor agonist.